It’s 4:45 am in Jackson Hole and I’m awake because today is the biggest day of the year for the North American lift business. Moments ago, Vail Resorts released its first quarter 2018 financial results which include guidance on next year’s capital improvements to the tune of $150 million. As I speculated it might, Broomfield, Colorado-based Vail is going all in on new lifts next year, with $52 million (CAD$66 million) going to Whistler Blackcomb alone. 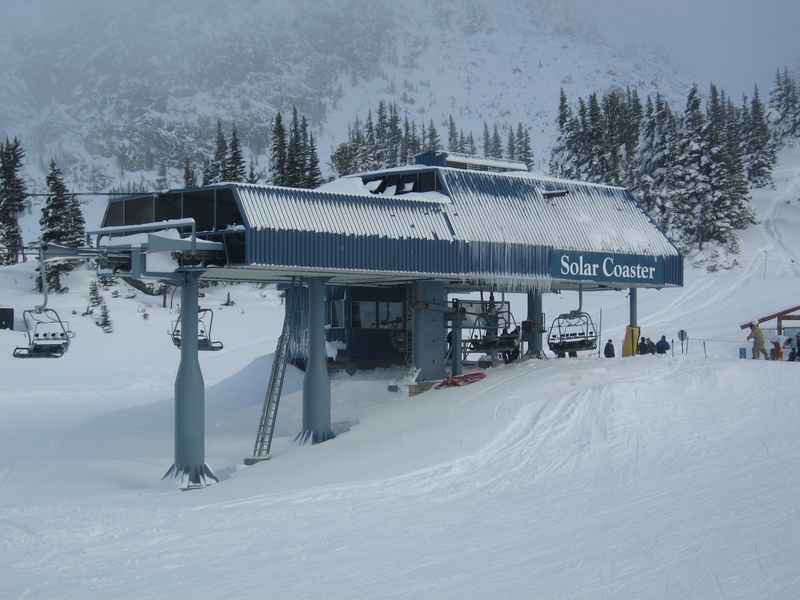 Goodbye Wizard and Solar Coaster, hello gondola on Blackcomb Mountain. On Blackcomb, the company will add a signature 10-passenger gondola with mid-station replacing Wizard and Solar Coaster, two 1987 bubble quad chairs with very high hours. The new 4,000 skier-per-hour machine will be W-B’s sixth gondola and the second-highest capacity lift in North America after Squaw Valley’s Gold Coast Funitel. The mid-station will likely be located downhill of the current Wizard/Solar Coaster transition where more space can be created for a large terminal and cabin parking. The two stages will be able to be run independently with two haul ropes and separate drive systems. Together with the Peak 2 Peak and Whistler Village gondolas, the new gondola will create the world’s only three-gondola connection and an impressive 8.4 mile-long continuous sightseeing trip. The nearby Excalibur Gondola, amazingly Blackcomb’s last all-new lift, debuted in 1994. The 1997 Doppelmayr-built Emerald Express on Whistler Mountain will move to Blackcomb, replacing the Catskinner triple likely in a modified alignment. An all-new Emerald six-place lift will also welcome skiers on Whistler Mountain for 2018-19. 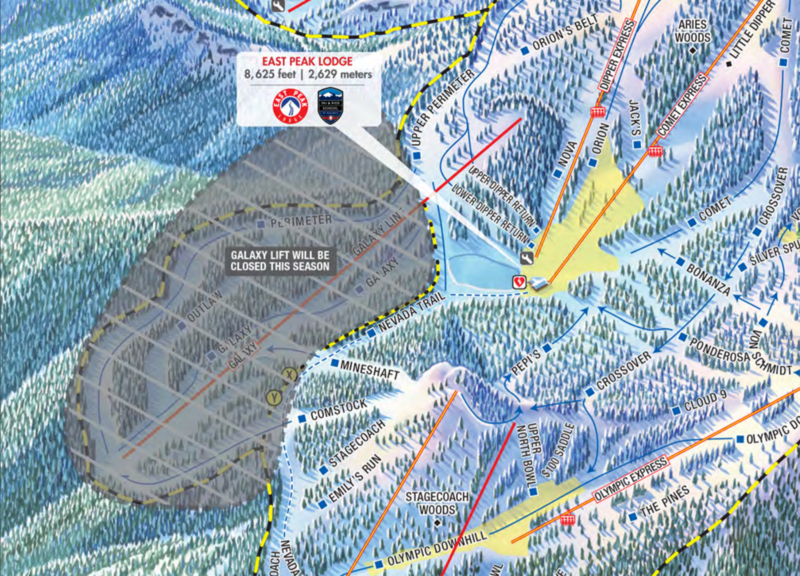 “Our integration efforts at Whistler Blackcomb are largely complete,” commented Vail Resorts CEO Rob Katz. “We believe this plan will dramatically improve the on-mountain experience for our guests with enhanced lift capacity, improved circulation and a significantly elevated experience for skiers, riders and sightseeing guests.” The three new lifts represent a combined 43 percent improvement in capacity over the lifts they replace and are part of the largest-ever capital improvement season at Whistler Blackcomb, topping even the 2008 construction of the Peak 2 Peak Gondola. “We believe these transformational, mountain-focused investments are the most significant improvements we can undertake to support Whistler Blackcomb’s long-term growth and our commitment to pursue the most impactful projects to enhance the guest experience,” Vail noted. In a bit of a surprise, Vail chose to upgrade High Meadow at Park City Mountain, the main beginner lift at Canyons Village. At Park City, the rumored Sunrise replacement will wait for another year but the High Meadow lift will be swapped for a high-speed quad chair, reducing ride time by 70 percent and anchoring a new family fun zone. On the shores of Lake Tahoe, Heavenly will finally replace Galaxy, which has fallen into disuse. 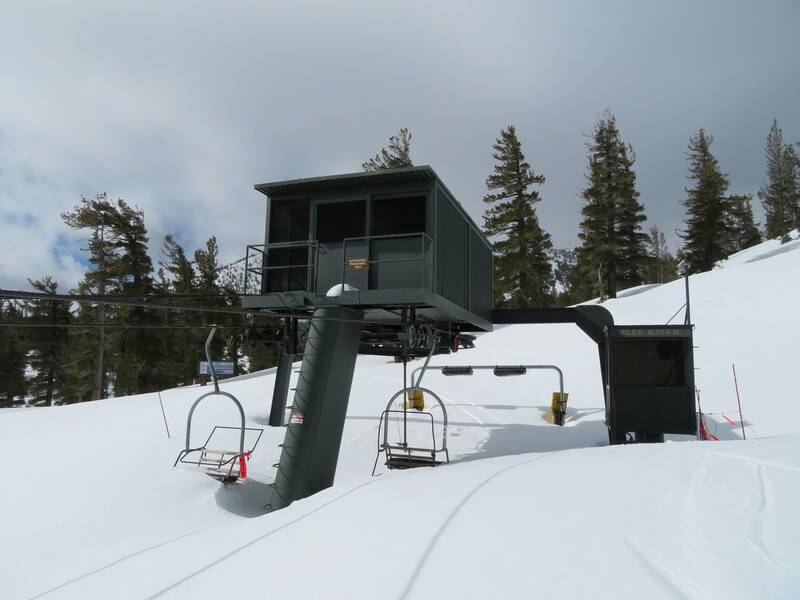 A new fixed-grip triple chair will serve 400 acres of terrain that was inaccessible the past two seasons. Vail Resorts will also replace a T-Bar with a fixed-grip quad at Perisher in Australia. “We remain committed to reinvesting in our resorts, creating an experience of a lifetime for our guests and generating strong returns for our shareholders,” Katz concluded. Galaxy will remain closed this season but 2018 will see a new lift go in on the Nevada side of Heavenly. The SLI-built Galaxy lift sat idle for the entire 2016-17 season. In last year’s Q1 results, Vail announced new six-packs for Vail Mountain, Keystone and Breckenridge which are already operating or opening this month. The company added the Red Buffalo Express project at Beaver Creek in late January and total capital investment reached $122 million in 2017, meaning spending will increase 23 percent next year. Following the first-ever season with new lifts at all four of its Colorado resorts and the construction of 12 new lifts in five years, it only makes sense the 2018 projects focus elsewhere. Vail will release its complete 2018 off-season plan in March and stay tuned for news about the manufacturer(s) of the six upcoming lifts. Vail also revealed more than 740,000 season passes will be sold this year with the addition of Stowe and Whistler Blackcomb to the Epic network. That’s up 14 percent in units and 20 percent in dollars compared with 2016. The company reported a narrow loss of $28.4 million for the quarter as it typically does when most of its resorts aren’t open for skiing. Regardless, the big story today is Vail’s sustained commitment to capital improvements across its resorts, particularly in lift technology and capacity. New gondola, 6 pack, and relocated HSQ at Whistler? That’s a statement from Vail. Any thoughts on the disposition of the lifts to be removed? Are Wizard and Solar Coaster too outdated to be worth relocating? Interested in your thoughts as to whether we might see an announcement later this year of some used equipment coming to Afton. Eight 1985-1990 high-speed quads have already been removed from the Vail family of resorts and none were reinstalled as complete lifts. The usable parts like tower steel and chairs are sometimes incorporated into new lifts like those at Mt. Brighton, Wilmot and this year’s Red Buffalo Express. The new Heavenly lift may similarly include some used parts. Key terminal components are generally saved as spares to keep other lifts of the same vintage going and the rest of the terminals are scrapped. Next season, Vail Resorts will still operate 12 Doppelmayrs from the 1985-1990 era plus one Poma and they are only half way to replacing them. Thanks for your insight, that all makes sense. I wonder if they’ll ever complete/finish the Creekside or Excalibur gondola’s natural end points. Perhaps their plan is just remove them, eventually with something completely new with possible relocation for the older gondola’s. First ever visit to W-B last winter, and I stayed near Creekside. The gondo is old. Still serviceable, sure, but showing real age. And the lack of lifts south and west of Big Red are a real weakness. I did a quick scan of lifblog as I think some of that area has been looked at, but can’t recall what is in thought-stage vs announced improvements there. Keep in mind the above master plan was developed before Vail, which has clearly come in with its own COO and way of doing things. As part of today’s announcement, the Renaissance water park at Base II was officially deferred and with it probably the proposed Magic chondola. One thing I appreciate about Vail is their on-mountain focus. Unlike Intrawest, Vail Resorts is primarily a ski resort operator and not a real estate company so I think we’ll see continued on-hill expansion/upgrades while others develop the villages. I would have thought Vail would have kept Solar Coaster to service that terrain. It seems like there could be a real big bottle neck created by those coming up from the base and those trying to get on at the mid-station. I guess they figure that with 4000pph there would be enough capacity for everything. Plus past mid morning I’m guessing few people are even coming up Wizard so there would be enough seats open in the cabins to allow people to get on at mid. So when everyone is first going up for the day they’d load every car 100% and then as that line cleared out they’d start sending more cars up with empty seats. We can’t keep Solar as the new Gondola will cross over it. We were looking for a solution there, but there weren’t any good ones. Will the movement of Emerald to catskinner act as the new “terrain park lift” for Blackcomb as emerald is on Whistler? Are they going to realign the new catskinner to load lower down so you can load back on it from the bottom of the superpipe without skiing down to the new gondola? Also, High Meadow is the canyons bike park lift, do you think the upgrade correlates with bike park improvements in the near future? Do you think it’s possible they would use the Catskinner chair (no doubt with some newer upgraded components) to replace Galaxy? Or do you think it will be a brand new chair? I know Heavenly is usually the last resort to receive upgrades in Vail’s portfolio, so it’s nice to see it getting some love – but it would have been much nicer to see a high speed quad replacing Boulder and North Bowl. I was there in March for a 3 foot snowstorm, but every lift on the Nevada side was closed due to wind except for Stagecoach and Boulder. Traversing towards the trees on skiers left of Olympic gave some of the best steeps and deepest snow accessible that day, but it also put us in a drainage that required a hike out above Boulder on every lap because the lift doesn’t quite reach the ridgetop. If those two lifts were replaced with a high speed, they could run the lift during higher winds and allow at least a bit more terrain to be skiable without a hike on those high windspeed days. I guess this lift might require a mid-station unload (because the terrain in boulder is very flat and good for novice skiers, whereas the terrain at the top of north bowl is steeper) so this might become an expensive project – still, Heavenly hasn’t seen a new high speed in 10 years. Lot of talk around Stowe this past Summer with a possible replacement of the Toll House, Lookout Double, or Mountain Triple…..any word on possible Stowe upgrades for this summer? Zero chance this year is my guess. Stowe was already heavily invested in under AIG and regardless of whether anything is upgraded or not will dramatically increase the number of Epic Passes that get sold, so it’s not really a high priority from Vail’s perspective. If they do anything, they’ll likely see how things go this year which is Stowe’s first season on the Epic Pass and then decide what lifts, if any need upgrades and possibly do them in 2018. Mountain Triple seems most likely to get upgraded because FourRunner has nowhere near enough capacity and has a 30 minute line every weekend. Completely asinine to not make that a 6-pack when they already were upgrading the lift is putting it lightly. That thing cost 7 million dollars and already is totally unfit for the location and was since day one. The Mountain Triple serves some lower blues and terrain parks and a HSQ there would take some of the load off FourRunner, but the problem is intermediate skiers usually want to go to the top and will still end up in line for FourRunner. Lookout Double is too close to FourRunner and I don’t think Toll House would really help much with the parking since there’s still only one road in and one road out at that location. I don’t think Vail will do anything with Stowe during the 2018 construction season. The pattern that I have noticed is that if Vail acquires a ski area before one ski season, it will not do anything until they have operated the mountain for an entire ski season. In the case of Stowe, this does make sense because Vail was not involved with Stowe until almost the end of the season, so they likely have no idea what needs upgrades and what does not. This year is the “experiment year at Stowe” for Vail, whereas the 2016-17 ski season was the experiment year at W-B, and now that they have figured out everything there is to know about W-B, they are ready to make lift upgrades to fix some of the problems (or potential problems) that were discovered during the “experiment year”. I think Vail will do the same with Stowe, so I wouldn’t expect any lift upgrades until the 2019 construction season. When the Stowe upgrades do take place, I think Vail should replace the Mountain Triple with a detachable quad to ease some of the crowds at Fourrunner. This way (hopefully) upper mountain skiers would ride Fourrunner, and lower mountain skiers would ride the Mountain detachable quad. 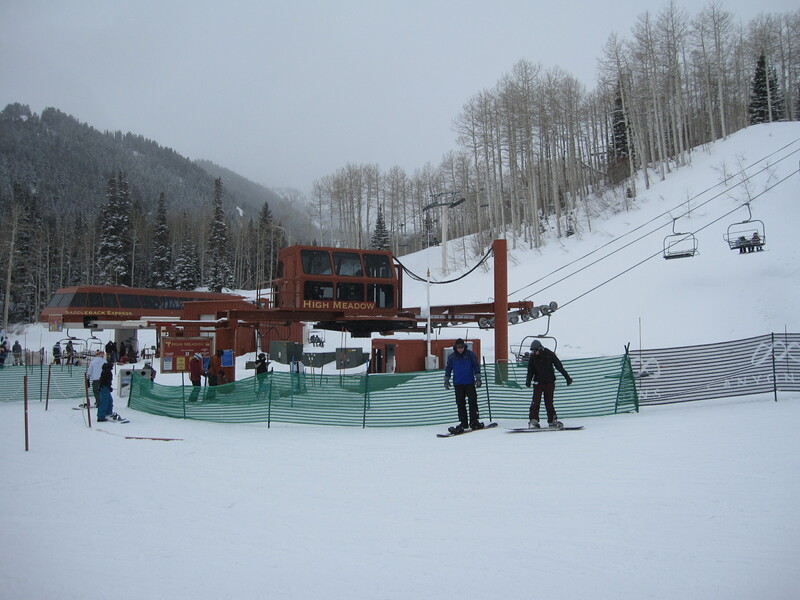 Lookout should also be replaced, but Vail would have to be mindful of the capacity as to not overcrowd the trails in the area that also receive skier traffic from Fourrunner. I have not been to Stowe in over a decade, but I have heard that there is a hideous parking problem at the main base area (both Mansfield and Spruce sides). I would like to see a high capacity lift (probably a detachable quad) replace Toll House, but in a different alignment so that it would end near the top of the current Mountain Triple. Such a lift would be very long (probably ~7500 feet) and would have to be a detachable lift in order for guests to tolerate it (the biggest problem with Toll House now is the 15 minute ride that drops you in the middle of nowhere). Then, rebuild the Toll House area as a second base area with more parking and a short beginner lift dedicated to the beginner terrain in the Toll House area, with the detachable quad providing out-of-base access to the heart of the Mansfield side of Stowe. All good thoughts. My twist on that would actually be to simply move the Forerunner to the Mountain Triple Location and replace Forerunner with a 6 pack, thereby relegating Lookout solely to weekend/holiday use as needed for extra capacity. Along with building out the Toll House base area somewhat (expanded day lodge/skier services, more parking, new/faster lift taking you to more relevant terrain), that would provide a needed mix of greater uphill capacity in the core while also helping to spread out traffic by making that Toll House/eastern edge area more attractive. I’ve seen speculation around putting in a new lift to service the area between Toll House and the Mountain Triple, so that would align with this thinking if it came to pass – support the traffic in the core, and spread it out to the east where terrain is under-utilized. Vail announced buying Whistler in August 2016, but it wasn’t on the Epic Pass for 16-17 because they were already committed to Mountain Collective. Stowe was bought in the spring, and was also a Mountain Collective resort, but it was before they started selling the pass, so they had time to go Epic for 17-18. When they built the village at Spruce all the parking got moved over to Mansfield. It fills up quickly on busy weekends and they can’t get anyone else on the mountain. With the masses coming in with the Epic Pass this year, it’s only going to be worse. I’d avoid Stowe like the plague on weekends if I were you. The Toll House area has no snowmaking so in a bad year it won’t open much. There isn’t much room to expand parking there since there are a bunch of houses. They will probably end up setting up satellite lots at the bottom of the access road and forcing everyone who doesn’t pay for parking to ride a bus to the lodge as they do at all their western resorts. Will be interesting to see the manufacturers of these lifts, as all the mountains with announced improvements (W-B, Heavenly, Park City, and even Perisher) have historically had mostly Doppelmayr installs in the past but especially over recent years, Vail hasn’t had a summer where they have bought new lifts exclusively from one manufacturer. That gondola on Blackcomb sounds like a game changer too, 4,000 pph is crazy. This announcement also makes me wonder what KSL-Intrawest (name TBA) will do in response with regards to new lifts, you’d figure they want to start with a bang. Would have loved to see lifts in the bowls at Keystone too but they spoiled the Colorado skiers this year with new lifts so we will gladly wait. Thanks for the great update! Astonishing that upgrading Dreamcatcher and/or Dreamscape fixed grip quads aren’t a priority over High Meadow at Park City. That particular area of Park City has nice intermediate terrain, but is serviced by painfully slow, lengthy (over 4000 feet) lifts, whereas High Meadows quad is less than 2000 feet long. I totally agree. I think both Dreamscape and Dreamcatcher need upgraded desperately, but especially Dreamcatcher. With the traffic coming off the interconnect gondola, it only makes sense. That lift is so long and painfully slow. Wasn’t there some discussion a while back that the homeowners around the Dream lifts have a covenant (or similar) that keeps high speed lifts out of that area? I admit I may just be imagining things, tho. Vail primarily caters to low level skiers and Dreamcatcher serves mostly advanced terrain, so no way it gets upgraded. I’m not a fan of the trend of installing high speed quads and gondolas as short (under 2000 feet) beginner lifts because if beginners don’t learn how to use a chair when they just start, they’ll end up learning on the more advanced lifts and causing them to constantly stop and start. – W-B’s new lifts will cost approximately USD$42 million. – New lifts at W-B will drive incremental earnings CAD$9-10 million above typical organic level in the first season alone. – Announcing new lifts now allows the placement of signs and marketing around the resorts. Vail’s CFO calls it “some of the best marketing you can give to people,” reinforcing value of the brand and keeping guests coming back. – Gondolas specifically drive the perception of high quality and attract high-end guests. – Proposed US tax bill allowing deduction of capital projects would be beneficial to Vail, accelerating capital project timelines and improving returns on investments. – Vail Resorts is continuing to look for acquisition opportunities in Japan, Europe, the Northeast US and traditional North American destinations. Who’s next in New England? Smuggs to create a Mansfield / Madonna Mt. complex? Probably not Killington with its messed up land ownership situation. Should be interesting to watch. Seems likely they’ll make more big acquisitions in 2018. They just spent over a billion dollars to buy Whistler Blackcomb, and they must have massive debts from all their other acquisitions and capital projects. They need to be careful not to get greedy and take on too much debt or it will all collapse under it’s own weight like ASC did. My guess is this year they’ll focus on upgrading what they already have. This is probably their biggest lift installation year yet. Not a financial guy, so I have no idea whether that’s considered good or bad. I’m curious as to how Summer Ops. will look this year at W-B with Wizard and Solar being removed. Anyone happen to have any ideas? I don’t see a scenario where Wizard and Solar Coaster can stay in place while the new gondola (really two gondolas) are built. It would be a whole lot simpler if Excelerator was built as a gondola to Rendezvous as some say it should have been. My guess is Peak 2 Peak spins as a round trip ride with upload and download via Whistler. This summer might be a good time to put Blackcomb Glacier skiing to bed as the season keeps getting shorter and shorter anyways. We haven’t done the summer plan yet, but we can cover the Blackcomb ops with the Village Gondola and P2P. Just have to figure out maintenance shutdowns. Why not a HSDQ for the Heavenly Galaxy lift? Replacing a slow double with a slow triple will do nothing to increase uphill capacity and skier usage of that part of the mountain. The reason that area is underutilized is the long slow lift ride. Adding another seat will do little to encourage more use. And Heavenly’s Nevada side could definitely use more terrain to spread users around the mountain. Looks like we could have a late addition for Vail this summer. I would love to see Vail move one of the decommissioned lifts to the backside of Blackcomb to service the terrain back there. It is a bit of a downer having to ski the Blackcomb Glacier Road all the way back to the Exelerator Express Lift. It would be awesome to have a lift back there to avoid the long catwalk to the frontside and 3 lifts for every lap. Would High Meadow be extended to the top of Orange Bubble?